CAPE ELIZABETH, Maine (July 30, 2018) – With the debut of U.S. distance running star Molly Huddle and the return of Maine native and 2016 champion Ben True, the stage is set for the 21st edition of the TD Beach to Beacon 10K on Saturday in Cape Elizabeth, Maine. This year’s group of world-class athletes – including Olympic gold medal triathlete Gwen Jorgensen, Kenya-based New Zealander Jake Robertson and U.S. Olympians Lopez Lomong and Shadrack Kipchirchir – will be followed by more than 6,500 mostly recreational runners energized by cheering spectators along the scenic TD Beach to Beacon course in this iconic summer road race celebrating health, fitness and giving back. 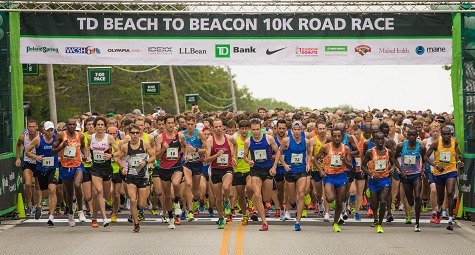 Maine native and running legend Samuelson, winner of the first Olympic women’s marathon in 1984, founded the TD Beach to Beacon to realize her vision of creating a major international road race in her home state. The route follows the same coastal roads that the unassuming Samuelson trained on in Cape Elizabeth. 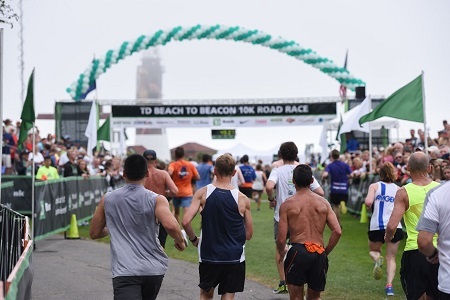 With her reputation, plus top-notch organization and strong community support, the TD Beach to Beach is known and appreciated as a world-class event with small-town charm. In 2017, a record 6,887 runners from 18 countries, 43 states and more than 270 Maine cities and towns finished the race. Thousands of spectators cheered runners along the route and at the finish. The race debuted in 1998 with 2,408 finishers. Supported by 850 volunteers, the TD Beach to Beacon 10K is directed by Dave McGillivray of DMSE Sports (www.dmsesports.com), who also directs the B.A.A Boston Marathon and is regarded as one of the best in the business. Ben True earned both top payouts – $15,000 in total – in 2016 when he torched the field (28:16) to become the first American to win the race. He fell just short of defending his title last year, finishing a close second (27:56) to Kenyan Stephen Kosgei Kibet, who is not in the 2018 field. True, 32, a North Yarmouth native and former Greely High School and Dartmouth College All-American, would like nothing better than to regain his place atop the podium. He rarely disappoints on the Cape Elizabeth course. True won the Maine resident title twice, in 2008 and 2009, when he set the course record in that category. He then returned as a professional in 2014 to place 3rdwith his best time, 27:50 – the fastest road 10K by an American in 29 years. True, who holds the American 5K record (13:20), is in good form. In March, he debuted in the half marathon at the NYC Half and became the first American ever to win the prestigious event. True placed 2nd at the 2018 BAA 5K in April. 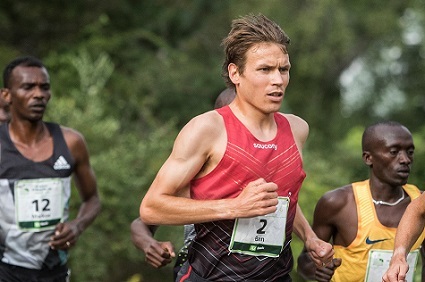 Another race favorite is Jake Robertson, 28, a Kenya-based New Zealander who so far in 2018 has wins at the Houston Half Marathon (60:01) against one of the strongest half marathon fields ever assembled on U.S. soil, and at the Crescent City Classic 10K in an eye-opening 27:28. Also, he set his national 10,000m record (27:30.9) while placing 5th at the 2018 Commonwealth Games. Other contenders include Lopez Lomong, 32, a two-time U.S. Olympian who won the USATF 10,000m title in June; Ethiopian teenager Amdework Walelegn,19, who already this year has wins at the Istanbul Half Marathon (59:50) and the Laredo 10K in Spain (27:37); Stephen Sambu, 30, of Kenya, who finished 4th at the TD Beach to Beacon last year (28:16) and won the 2014 BAA 10K in a career best 27:25; and Tariku Bekele, 30, of Ethiopia, the bronze medalist at 10,000m at the 2012 London Olympics. The field also includes Shadrack Kipchirchir, 29, a Kenyan-born American who competed in the 10,000m at the 2016 Rio Olympics (27:58.32, 19th), placed ninth at the 2017 World Championships in a PB 27:07.55 and finished just behind Lomong at the USATF 10,000m in June; Callum Hawkins, 26, the Scottish half marathon record holder (60:00) who finished 9th in the marathon at the 2016 Rio Olympics and 4th at the 2017 World Championships marathon, equaling the best ever performance by a British runner; and Shadrack Biwott, 33, another Kenyan-born American who finished 3rd at the 2018 Boston Marathon. Huddle, 33, a two-time Olympian who has been a U.S. national champion 27 times across various distances on the roads and track, is more than capable. She holds numerous American records, including the 10,000m (30:13.17), set at the 2016 Rio Olympics, breaking Flanagan’s mark and finishing sixth. In January, Huddle, who lives and trains in Providence, R.I., set a new American record at the Houston Half Marathon with a 1:07.25, breaking Deena Kastor’s 12-year-old mark. She also won the USATF 15K Championship (47:50) in March and the USATF 10,000m in June. Huddle’s career best 10K is 31:21 at the USATF 10K Championship in Boston in 2015, an American record for an all-women’s race. She also holds the American 5K and 12K records, placed 3rd at the 2016 NYC Marathon in her debut at that distance, and has won the NYC Half Marathon three times, most recently in 2017. Huddle will square off against a quartet of talented international runners, including Buze Diriba, 24, of Ethiopia, who is one of the top runners on the circuit in 2018 at a range of distances. 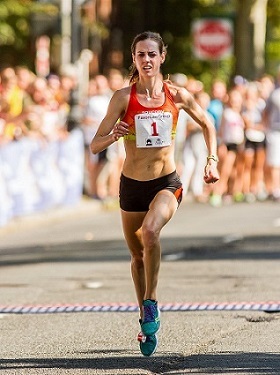 She has wins at the NYC Half Marathon in March, the Cherry Blossom 10-Mile in April and, a week later, she retained her title at the BAA 5K in Boston. Diriba placed 5th in a tight finish at the Utica Boilermaker 15K earlier this month. She recorded her personal best 31:37 at the BAA 10K in 2017. 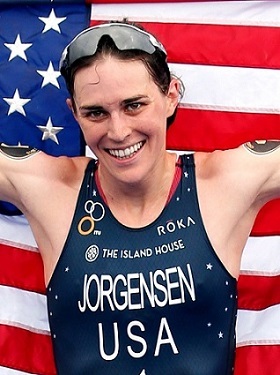 Also, rising American star Emily Sisson, 26, is back this year, following up on her strong showing at the 2016 TD Beach to Beacon, where she was the top American and placed 4th overall (32:21). The 11-time All-American at Providence College recorded the fourth fastest American time ever (1:08.21) while finishing just behind Huddle in a sprint finish at the 2017 NYC Half. Sisson won the 2016 USATF 10K Championship with a personal best 31:47, placed 3rd at the 2017 USATF 10,000m (31:25.64) and still holds the NCAA Indoor 5,000m record (15:12.22). Also, former Cheverus High and UConn standout Emily Durgin, 24, the defending Maine Resident champion but no longer eligible in that division, returns in the professional field. The Brighton, Mass., resident, who trains with Team New Balance in Boston, so far this year has a 5th at the USATF Cross Country Championships in Tallahassee and a 6th at the NACAC Cross Country Championships in El Salvador. In 2017, a show of sportsmanship within the ranks dominated the headlines. 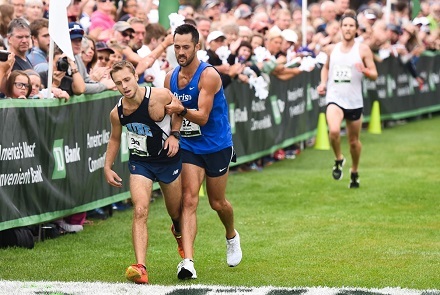 Who can forget the ending to last year’s Maine men’s race? Nearing the finish line, race leader Jesse Orachwas overcome by heat stroke and fell, only to be helped to his feet by his trailing competitor, Rob Gomez, who held Orach up as they ran together to the finish line. Gomez then provided Orach with a nudge over the line to give him first. His selfless act was among the feel-good stories of the year in road racing. Both runners are back in the field for 2018. They have since formed a friendship and are teammates as part of the Dirigo running club. Orach, 24, of Gorham, who last year became the first repeat winner in the Maine men’s race since Ben True in 2008-09, will seek to become the first-ever three-time champion. Gomez, 35, of Windham, has never won the Maine race (and passed on the chance last year), but has a handful of top 5 finishes. The winner of the Maine Marathon in 2013, he remains one of the state’s most prolific and successful road racers. They will be challenged by fellow Dirigo runner Ben Decker, 22, of Yarmouth, the 2015 champ who ran 30:07 on the track in May (31:31 won the TDB2B in 2017) and just dominated the Clam Festival Classic 4-Miler, and Ryan Smith, 23, of Farmington, who won the L.L. Bean 10K earlier this month and finished behind Orach and just ahead of Decker at the YMCA Fit Fest 5K in June. On the women’s side, two-time champ Michelle Lilienthal, 36, of Portland is dominating on the Maine roads and is again the favorite to re-claim the crown she last won in 2016. She also won in 2014 with a course record 33:39. Other contenders include Sheri Piers, 47, Falmouth, a three-time Maine champ and former course record holder; Erica Jesseman, 29, of Scarborough, a two-time winner; Tracy Guerrette, 36, of Saint Agatha, who finished third in 2017; and Taylor Bickford, 24, of Limington, who placed fifth last year. Local residents also open up their homes for the elite athletes as part of a “home-stay” program that is second to none. In addition, the Town of Cape Elizabeth is especially helpful – providing police, fire and emergency services and staff to help ensure the event runs smoothly. The TD Beach to Beacon also has a long history of commitment to the environment with a focus on recycling, reuse and eco-friendly activities. 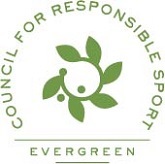 In 2016, the race achieved Evergreen Certification, becoming the first major road race of its size in North America – and only the sixth event ever worldwide – to earn the distinction from the Council for Responsible Sport, which conducted a rigorous review of the TD Beach to Beacon environmental and social sustainability programs.